Ah, Finland. It's definitely a country, and it's definitely where Finnish people live. 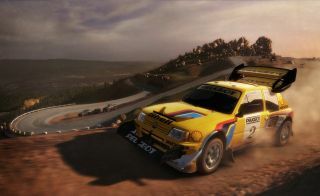 It's also the setting for Dirt Rally's new update, which brings twelve stages set near Jämsä. As the video above demonstrates, it's a beautiful, green, tranquil kind of place – or at least it is when rally cars aren't tearing through the countryside. Codemasters rolled the update out earlier today. It also boasts a new 2000s vehicle class, and two new vehicles in the form of the Subaru Impreza 2001 and Ford Focus RS Rally 2001. You can now create custom championships, while mouse support has also been patched in. Elsewhere, a range of tweaks and updates to existing cars have been actioned, including the handling on 60s, 70s, 80s RWD and 2010s classes. Full details are over on the Dirt Rally Steam page. The update is free, as the game is still in Early Access.